The Metamorphica is now available from DriveThruRPG. The pdf is still free, but now it is pay what you want, HERE. The print version will also be available from DriveThruRPG at some point in the future, probably next month. The print version is now available from DriveThruRPG here. And you can still buy a softcover copy from Lulu. The quality is about the same. The pdf is no longer available through Lulu or direct link. 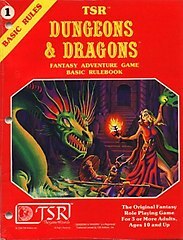 Please get it from DriveThruRPG, it is still free. If you find it useful or entertaining, please consider spending a few dollars on it. Also, I fixed the typos.